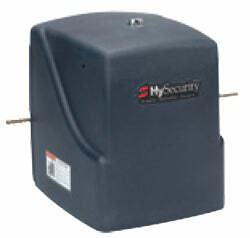 All Security equipment offers one of the largest selections of swing gate openers worldwide. Brands offered here include but are not limited to Apollo, FAAC, BFT, Linear, Elite, Liftmaster, Eagle, GTO and DoorKing. We offer solar, single and dual gate systems parable with a wide variety of gate safety devices and access control equipment that can be tailored to meet your specific needs. Hydraulic swing gate operator for condominium / industrial use for leaf lengths up to 7M / 20 Feet. Hydraulic swing gate operator for condominium / industrial use for leaf lengths up to 7M / 23 Feet. Hydraulic swing gate operator for condominium use. Max leaf length up to 7m / 20 feet. Hydraulic swing gate operator for residential use or small multifamily for leaf length up to 3M / 10 feet. Hydraulic swing gate operator for condominium / industrial use for heavy leaf lengths up to 9 M / 30 feet. Electromechanical swing gate operator for leaf length up to 3,5 M / 11,4 Feet or Max. 300KG / 660lbs. weights. 128 - Apollo 1500 Residential Swing Gate Opener With Receiver For Gates Up To 16' & 600 lbs. 130 - Apollo 1600N Dual Swing Gate Opener With Receiver For Gates Up To 16' & 600 lbs. 132 - Apollo 1650ETL/N Dual Swing Gate Operator With Receiver For Gates Up To 16' & 600 lbs. The BFT Dual Kustos Ultra BT UL linear drive operator is a premium motor for swing gates up to 16 feet and 550 Lbs which are mounted to posts. The BFT Kustos Ultra BT UL linear drive operator is a premium motor for swing gates up to 16 feet and 550 Lbs which are mounted to posts. Doorking 6050-080 Swing Gate Opener (also known as a Doorking swing gate operator or Doorking swing gate motor) is a Residential swing gate opener For Gates Up To 400 lbs. And 10 feet. A mounting kit is required for this gate opener. You must add a post or pad mount kit to compete the order for this product. Doorking 6050-081 Swing Gate Opener (also known as a Doorking swing gate operator or Doorking swing gate motor) Residential Slave Unit For Gates Up To 400 lbs. And 10 feet. A mounting kit is required for this swing gate opener. You must add a post or pad mount kit to compete the order for this product. DoorKing 6100-080 Swing Gate Opener (also known as a Doorking swing gate operator or Doorking swing gate motor) is a Commercial/Residential 1/2 HP Swing Gate Opener 115V For Gates Up To 14 feet & 500 lbs. A mounting kit is required for this gate operator. You must add a post or pad mount kit to compete the order for this product. DoorKing 6100-081 Swing Gate Opener (also known as a Doorking swing gate operator or Doorking swing gate motor) is a Commercial/Residential 1/2 HP Swing Gate Opener 115V For Gates Up To 14" & 500 lbs. Designed to operate vehicular swing gates in residential and commercial applications. (Pair With Model 6100-080 Master Operator For Dual System). A mounting kit is required for this gate operator. You must add a post or pad mount kit to compete the order for this product. DoorKing 6100-082 swing gate opener (also known as a Doorking swing gate operator or Doorking swing gate motor) is a Commercial/Residential 1/2 HP Swing Gate Opener 115V With Battery Back-Up For Gates Up To 14" & 500 lbs. Designed to operate vehicular swing gates in residential and commercial applications. (See Model 6100-083 If 2nd Arm With Battery Back-Up Is Necessary For Dual System). A mounting kit is required for this gate operator. You must add a post or pad mount kit to compete the order for this product. DoorKing 6100-083 Swing Gate Opener (also known as a Doorking swing gate operator or Doorking swing gate motor) is a Commercial/Residential 1/2 HP (Slave) 115V Swing Gate Opener With Battery Back-Up. Designed to operate vehicular swing gates in residential and commercial applications. 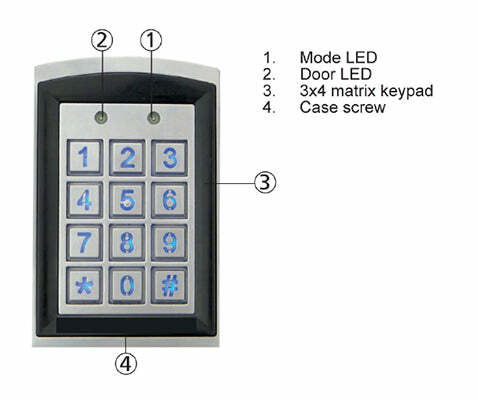 (Purchase This Model For Dual Swing System Only With Model 6100-082) A mounting kit is required for this gate operator. You must add a post or pad mount kit to compete the order for this product. Doorking 6300-080 swing gate opener (also known as a Doorking swing gate operator or Doorking swing gate motor) 1/2 HP (115V) is a Commercial & Residential Vehicular Swing Gate Opener For Gates Up To 18' & 700 lbs. The 6300 series operators are designed to operate vehicular swing gates in residential, commercial and industrial applications. A mounting kit is required for this gate operator. You must add a post or pad mount kit to compete the order for this product. Doorking 6300-081 swing gate openers (also known as a Doorking swing gate operator or Doorking swing gate motor) are designed to operate vehicular swing gates in residential, commercial and industrial applications. These swing gate openers are designed so that they can be either pad or post mounted without any costly and time consuming field modifications. A mounting kit is required for this gate operator. You must add a post or pad mount kit to compete the order for this product. The Eagle 100 swing gate opener (also known as a Eagle swing gate operator or Eagle swing gate motor) is our specially designed 1/2 horsepower swing gate opener for residential applications. This Gate opener will handle gate up to 18' and 600 lbs. Eagle 200 swing gate opener (also known as a Eagle swing gate operator or Eagle swing gate motor) is a 1/2 HP Commercial Swing Gate Opener which can operate a gate up to 20 ft. long and weighting 1000 lbs. LiftMaster CSW24U Commercial Swing Gate Operator two 10Watt Solar Panels and Harness - FREE Liftmaster 828LM Internet Gateway. Unrivaled performance, safety and accessibility. Built to deliver unsurpassed safety and performance the 2016 UL listed gate operators and monitored safety entrapment devices provide peace of mind for every gate application. Now includes the monitored retro-reflective photo eye (LMRRU). LiftMaster CSW24U Commercial Swing Gate Operator with 40W33A Solar Kit - FREE Liftmaster 828LM Internet Gateway. Unrivaled performance, safety and accessibility. Built to deliver unsurpassed safety and performance the 2016 UL listed gate operators and monitored safety entrapment devices provide peace of mind for every gate application. Now includes the monitored retro-reflective photo eye (LMRRU). LiftMaster RSW12U Residential / Light Commercial Swing Gate Operator with 20W33A Solar Kit - FREE Liftmaster 828LM Internet Gateway. LiftMaster RSW12U Residential / Light Commercial Swing Gate Operator. Unrivaled performance, safety and accessibility. Built to deliver unsurpassed safety and performance the 2016 UL listed gate operators and monitored safety entrapment devices provide peace of mind for every gate application. Now includes the monitored retro-reflective photo eye (LMRRU). LiftMaster RSW12U Residential / Light Commercial Swing Gate Operator with 20W7A Solar Kit - FREE Liftmaster 828LM Internet Gateway. Unrivaled performance, safety and accessibility. Built to deliver unsurpassed safety and performance the 2016 UL listed gate operators and monitored safety entrapment devices provide peace of mind for every gate application. Now includes the monitored retro-reflective photo eye (LMRRU). LiftMaster CSW24U Commercial Swing Gate Operator two 10Watt Solar Panels and Harness. Unrivaled performance, safety and accessibility. Built to deliver unsurpassed safety and performance the 2016 UL listed gate operators and monitored safety entrapment devices provide peace of mind for every gate application. Now includes the monitored retro-reflective photo eye (LMRRU). LiftMaster CSW24U Commercial Swing Gate Operator with 40W33A Solar Kit. Unrivaled performance, safety and accessibility. Built to deliver unsurpassed safety and performance the 2016 UL listed gate operators and monitored safety entrapment devices provide peace of mind for every gate application. Now includes the monitored retro-reflective photo eye (LMRRU). These dual swing gate operators, Model RSW12U Dual Gate System has been upgraded to be UL325 Compliant. This means that to be UL325 Compliant it is mandatory for dual operators to have at least two functioning SAFETY DEVICES. PLEASE NOTE: If you order this product you will receive the newly updated UL325 compliant RSW12UL DUAL System which will include upgraded control board as well as TWO pairs of Photo Eyes (model LMRRUL / hoods included). No additional charges will apply. LiftMaster K-LA400 Swing Gate Opener Arm capable of operating gates up to 16 ft. long and weighing up to 550 pounds per leaf. This product includes the ARM ONLY. LiftMaster RSW12U Residential / Light Commercial Swing Gate Operator. Unrivaled performance, safety and accessibility. Built to deliver unsurpassed safety and performance the 2016 UL listed gate operators and monitored safety entrapment devices provide peace of mind for every gate application. Now includes the monitored retro-reflective photo eye (LMRRU). LiftMaster RSW12U Residential / Light Commercial Swing Gate Operator with 20W33A Solar Kit. LiftMaster RSW12U Residential / Light Commercial Swing Gate Operator. Unrivaled performance, safety and accessibility. Built to deliver unsurpassed safety and performance the 2016 UL listed gate operators and monitored safety entrapment devices provide peace of mind for every gate application. Now includes the monitored retro-reflective photo eye (LMRRU). LiftMaster RSW12U Residential / Light Commercial Swing Gate Operator with 20W7A Solar Kit. Unrivaled performance, safety and accessibility. Built to deliver unsurpassed safety and performance the 2016 UL listed gate operators and monitored safety entrapment devices provide peace of mind for every gate application. Now includes the monitored retro-reflective photo eye (LMRRU). The Model VS-GSWG is a heavy-duty variable speed swing gate operator designed for smooth, secure and reliable operation of large, heavy swing gates. The positive locking linear drive arm design provides enhanced security, plus increased ability to withstand high wind loads - especially important for large, heavy gates. The VS-GSWG is available in 1/2, 1 or 2 HP, 115V-460V single- or three-phase power, 18-22 second gate opening speed. The LiftMaster® Elite Series® model CSW24V is engineered for a million cycles in high-cycle, heavy-duty applications. A Battery Backup System provides uninterrupted access when the power is out, and Security+ 2.0™ technology virtually eliminates radio interference. 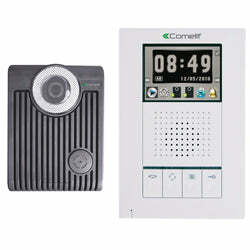 It also features integrated MyQ™ technology and the industry's only standard wireless dual gate communication system. The CSW24V is rated for gates 18 ft. long or 1,200 lbs. 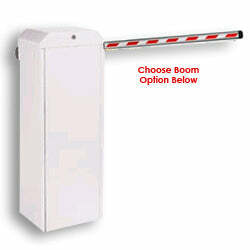 221 - Apollo 1550 Residential Swing Gate Opener With Receiver For Gates Up To 16' & 600 lbs. This Model Is Discontinued. Please See BFT Dual Kustos Ultra BT UL Linear Drive Operator as a possible replacement. BFT Phobos Dual Kit BT NL Swing Gate Opener (also known as a BFT BT NL swing gate operator or BFT BT NL swing gate motor) Residential For Dual Swing Gates Up To 550 LBS. & 16 ft. in length. Includes 110V input 24 volt system, 2 Phobos BT N L Operators, 1 Libra UL R control board with incorporated receiver, 2 Mitto rolling code transmitters, 1 Polarized photocell, 1 Adjustable post bracket, 1 Gate bracket and 1 Release key. This Model Is Discontinued. Please See BFT Kustos Ultra BT UL Linear Drive Operator as a possible replacement. BFT Phobos Single Kit BT NL Swing Gate Opener (also known as a BFT BT NL swing gate operator or BFT BT NL swing gate motor) Residential For Swing Gates Up To 550 LBS. & 16 ft. in length. Includes 110V input 24 volt system, 1 Phobos BT N L Operator, 1 Libra UL R control board with incorporated receiver, 2 Mitto rolling code transmitters, 1 Polarized photocell, 1 Adjustable post bracket, 1 Gate bracket and 1 Release key. This is the FAAC 760 hydraulic swing gate opener (also known as a FAAC swing gate opener or FAAC swing gate motor) only. Choose between 115V and 230V. Drive AND power units are combined in-ground! Maximum gate capacity is 13 feet and 1500 lbs. 234 - GTO PRO SW4000XL Residential / Light Commercial Duty Swing Gate Operator Kit with HBP4XL Hardware Bracket For Gate Up To 20' And 1000 lbs. 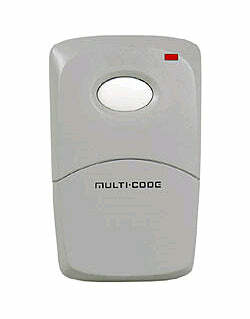 This gate opener Model LA4001PKGDC Dual has been upgraded to be UL325 Compliant. This means that it is mandatory for the operator to have at least one functioning SAFETY DEVICE. PLEASE NOTE: If you order this product you will receive the newly updated UL325 Model LA400PKGUL which will include an upgraded control board as well as a pair of Photo Eyes (Model LMRRUL / hoods included). No additional charges will apply. This gate opener Model LA400 has been upgraded to be UL325 Compliant. This means that it is mandatory for the operator to have at least one functioning SAFETY DEVICE. LiftMaster LA400 swing gate opener (also known as a Liftmaster swing gate operator or Liftmaster swing gate motor) 1 Package Includes The Liftmaster LA400 Residential Swing Gate ActuatorArm and control box capable for single swing gate application, including standard mounting hardware. Liftmaster MegaSwing swing gate opener (also known as a Liftmaster swing gate operator or Liftmaster swing gate motor) is a Commercial Duty 1/2 HP swing gate opener. Maximum gate length: 18' and maximum gate weight 650 lbs. Regulated 24V DC Includes: Two 7Amp. Backup Batteries. The Liftmaster RSW12V swing gate opener (also known as a Liftmaster swing gate operator or Liftmaster swing gate motor) is a replacement for the Elite RoboSwing swing gate opener. It's Liftmaster's most advanced residential and light commercial gate opener; pad mounted, and for gates up to 600 lbs. or 16 ft. in length. Up to 250 cycles per day. 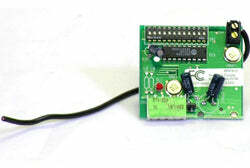 This model is solar-compatible and includes a built in 315MHz remote receiver. Use with Liftmaster 300 series remotes. The LiftMaster SW420 swing gate opener (also known as a Liftmaster swing gate operator or Liftmaster swing gate motor) offers a compact design that supports swing gate lengths up to 12 feet and gate weights up to 300 pounds. Choose model Liftmaster SW420 33 11 G3 or Liftmaster SW 420 33 11 GH3 with heater. Class I, II, III and IV. LiftMaster SW425 Swing Gate Opener (also known as a Liftmaster swing gate operator or Liftmaster swing gate motor) Light Duty (115V) is for Gate Applications Up To 300 LBS. & 13 Feet. Receiver Included! This item has been discontinued by the manufacturer (Liftmaster). Please see model RSW12V Liftmaster Elite Series Swing Gate Opener (also known as a Liftmaster swing gate operator or Liftmaster swing gate motor) as a possible alternative. The new power conserving and solar ready RSW model includes Chamberlain's latest technology as well as an on board 315Mhz Security+ radio receiver. 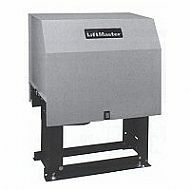 LiftMaster SW425 Swing Gate Opener (also known as a Liftmaster swing gate operator or Liftmaster swing gate motor) is a BR3 Light Duty Battery Run Swing Gate Opener For Swing Gate Applications Up To 300 LBS. & 13 Feet. Receiver Included! LiftMaster Model SW470 Swing Gate Opener (also known as a Liftmaster swing gate operator or Liftmaster swing gate motor) Medium Duty For Residential & Light Commercial Applications. For Swing Gates Up To 12 Feet And 500 LBS. Choose 115 volts or 230 volts. Sentex LiftMaster SW490 Swing Gate Opener (also known as a Liftmaster swing gate operator or Liftmaster swing gate motor) 1 HP Heavy Duty Industrial swing gate opener offers powerful performance for high cylce and heavy industrial swing gate applications. This hefty design supports gate lengths up to 22 feet and gate weights up to 1,000 pounds. Liftmaster model was previously Sentex. Choose voltage and model inside. This Model Is Discontinued. Please see contact us at 800-730-8382 for alternative unit. Linear Twist'R RSX4000 1/2 Residential swing gate opener (also known as a Linear swing gate operator or Linear swing gate motor) available in 115V and 230V models. For gates up to 16 ft. and 300 lbs. 7 Seconds to open.